25 manufacturing apprentices from the West Midlands travelled to London this week to quiz a number of politicians on the skills gap and the importance of vocational learning. In-Comm Training, which operates training academies in Aldridge and Shrewsbury, arranged the visit to coincide with the culmination of the National Apprenticeship Week and to highlight the need for continued investment in generating the talent of the future. 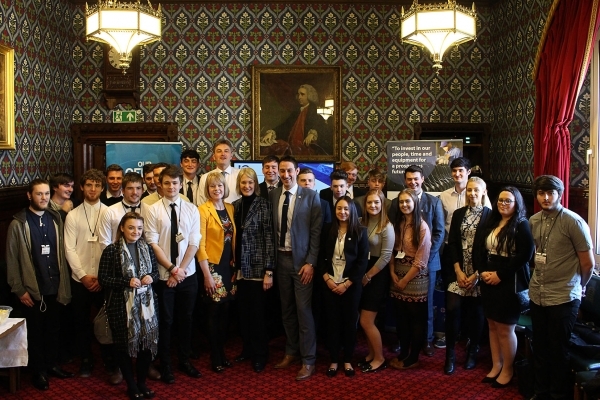 The company arranged for the young people and 20 of their employers to debate the subject with Business Minister Margot James, the hosting MP Wendy Morton and fellow MPs Amanda Milling and Daniel Kawczynski. They were also given a ‘behind the scenes’ tour of Westminster and how the Houses of Parliament operate. “The Government has finally woken up to Apprenticeships being real jobs and the recent reforms will help engage employers to raise the quality and provide a faster route to competence,” explained Gareth Jones, Managing Director of In-Comm Training. He continued: “Raising parity of esteem between Apprenticeships and other forms of higher and further education is paramount to making sure we get young people considering this as a viable career path. In-Comm Training has 35 years’ experience of delivering apprentices and upskilling courses to companies across the Midlands. Each year, it supports about 400 apprentices across its two academies, with many of its learners going on to hold senior management positions within the companies they train with. Joining the firm on the visit was Salop Design & Engineering, RMD Kwikform (Interserve), IMI Precision Norgren, GKN Land Systems, Frank Dudley, Made in the Midlands, FBC Manby Bowdler, William Mitchell, B Mason & Son, Bradken, Black Country Chamber of Commerce, Cooke Brothers, Phoenix Tooling, Grainger & Worrall and Middas. Rowan Crozier, CEO of Brandauer, also made the trip. “We have to start sharing the message of how important apprenticeships are for the British economy; these young people are our future engineers, managers and decision makers…that’s exactly what this trip did. 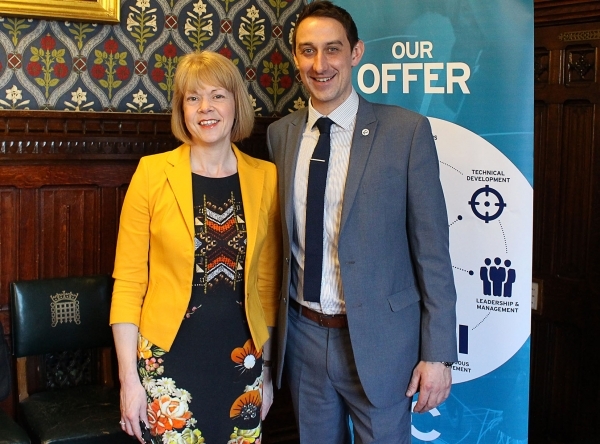 “I have always been a big supporter of Apprenticeships and the role they play in bridging the skills gap and there is nothing like hearing from young people about their experiences and their achievements.